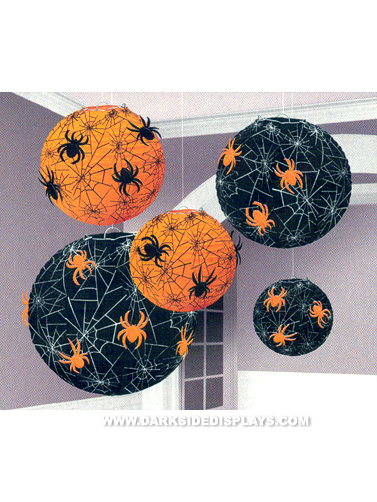 Creepy 3D spiders adorn these Halloween colored paper lanterns making for very decorative accents. Sturdy metal frames, fold flat for storage. Spider Web Lanterns package includes paper spider attachments and five lanterns in various sizes; 1 - 5.75", 2 - 7.75", 2 - 9.5". 5 pc.